During the fourteenth century, the Bedouins (ʿarab) of Egypt experienced a significant increase in power. The Bedouins were the group with the largest military and political power in the Mamluk Empire, after the ruling Mamluks themselves. This study offers the first comprehensive overview on Bedouin groups in politics and society of Mamluk Egypt with a focus on the ambivalent relationship between Bedouin and Mamluk representatives. What characterised the Bedouins’ way of life during this period, how were they perceived by the urban elites and how did the Bedouin-Mamluk-relationship change over time? These are the main questions this study deals with. In doing so, it focuses on the symbolic communication between Mamluks and Bedouins. It is shown that both groups used a common repertoire of rules, gestures and institutions that were essential to negotiating, shaping and adjusting their relations. 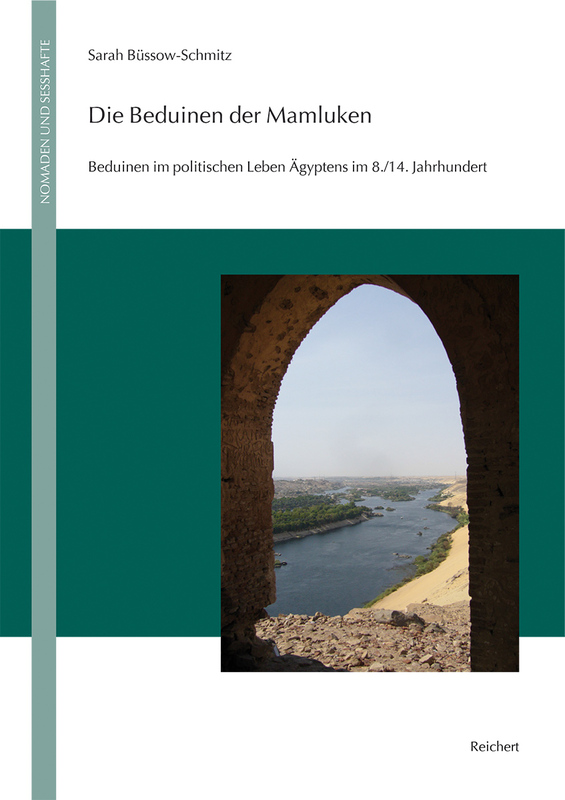 This is the first monograph on Mamluk history with a focus on the Bedouins as political actors. The study concentrates on the communication between representatives of Bedouin groups on the one hand and the Sultan and the Mamluk Emirs on the other. A systematic analysis of communication between the representatives of the two parties, as it is depicted in contemporary Arabic sources, reveals patterns and rules in their actions. When the Mamluks seized power in Egypt in 1250, local Bedouins (ʿarab in Arabic) mounted considerable resistance. The Bedouins were the group with the largest military and political power in the Mamluk Empire, after the ruling Mamluks themselves. Therefore, the relations between Bedouins and Mamluks were tense. The Mamluks were eager to demonstrate their supremacy and often needed to force the Bedouins to acknowledge it. In return, they made concessions to the Bedouins in the form of certain privileges. During the second half of the fourteenth century, Bedouin groups in Egypt gained additional power, forcing the Mamluks to devise counter strategies. However, a Mamluk Bedouin policy could only be developed in continuous bargaining processes with the Bedouins. The study scrutinises these bargaining processes from the perspective of symbolic communication. It is shown that both groups used a common repertoire of rules, gestures and institutions that were essential to negotiating, shaping and adjusting their relations. The book’s title „The Mamluks’ Bedouins“ points to the fact that this study is based on source texts that were exclusively written by Mamluks or authors close to the Mamluks, because there is a complete lack of Bedouin testimonies for this time. Therefore, a chapter of the book is devoted to the perception and depiction of Bedouins in Mamluk-era Arabic sources. Another chapter discusses the question which resources were at the disposal of Bedouin groups in the various landscapes of Egypt. With its three foci—Egyptian landscapes from a Bedouin perspective, the literary styling of Bedouin images, and symbolic communication between Bedouin representatives and Mamluks—this study offers the first comprehensive overview on Bedouin groups in society and politics of Mamluk Egypt. Geboren 1981 in Münster, Studium der Islamwissenschaft und Geschichte an der Martin-Luther-Universität Halle an der Saale 2001-2008, Promotion ebenda 2014, diverse Forschungsaufenthalte im Nahen Osten. Derzeitige Tätigkeit/Forschungsschwerpunkt: Kulturgeschichte der deutschen Diplomatie im späten Osmanischen Reich. Born 1981 in Münster, 2001-2008 study of Middle Eastern Studies and History at Martin-Luther University Halle, PhD in 2014, research stays throughout the Middle East. Current research topics: Cultural history of German diplomacy in the late Ottoman Empire.